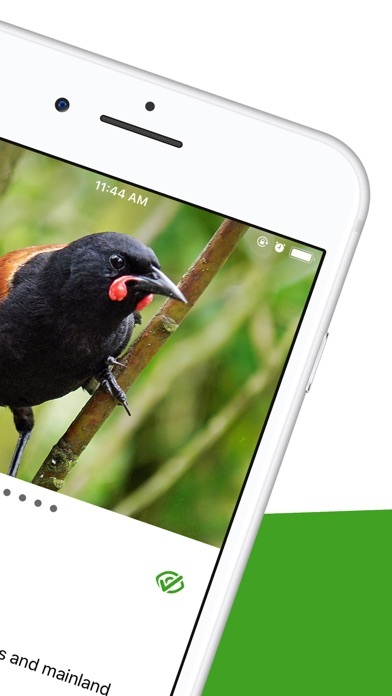 Bird Nerd is your digital pocket guide for New Zealand birds. Identify our birds: Not sure what bird you saw? 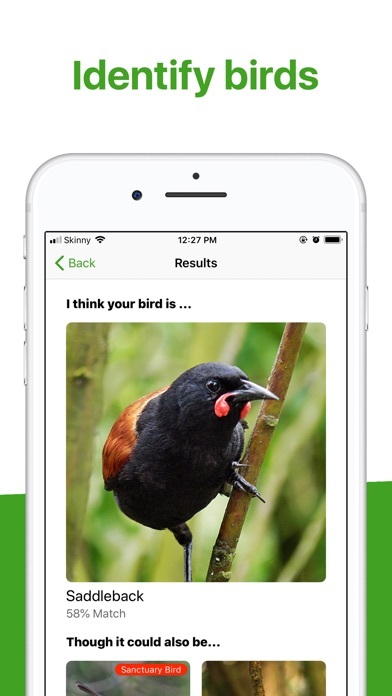 Through a combination of questions and machine-learning magic, Bird Nerd can help you figure out just what it was you saw. You can even let Bird Nerd take a guess based of a photo you provide! 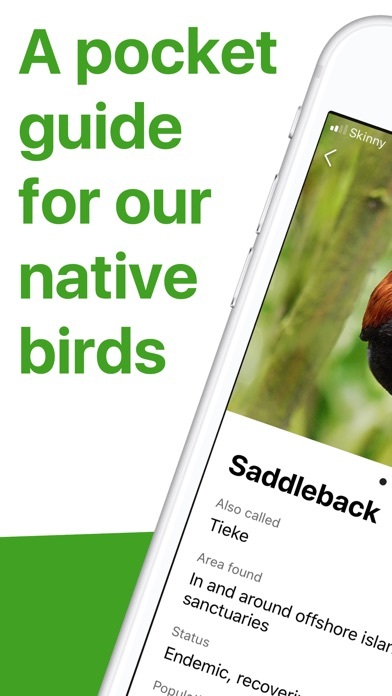 Learn about our birds: Bird Nerd features more than 10,000 words of hand-written, bite-sized, app-friendly info on all our best birds. Learn more about your faves and find out about birds you never knew existed. 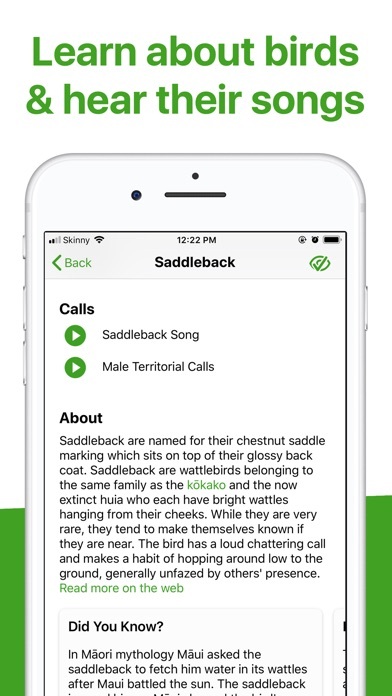 Hear our bird calls: You can use Bird Nerd to playback the calls of our birds. This can help you identify a bird you heard or even chat with the friendlier birds in the wild*. 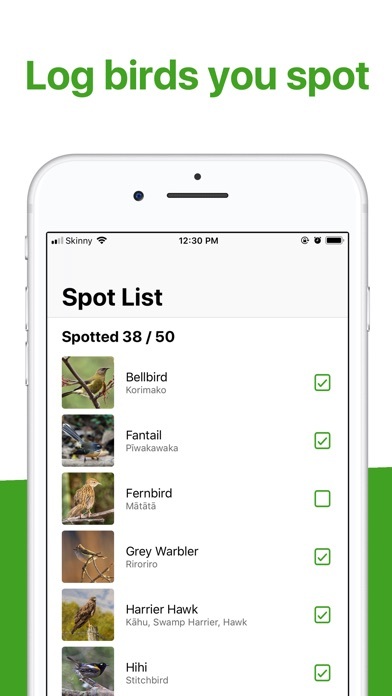 Spotlist: Keep track of what birds you've spotted and what birds you're still yet to meet. 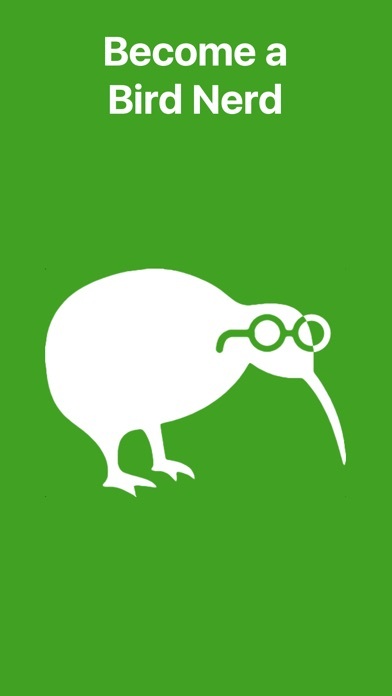 Can you 100% New Zealand? Fact of the day: Brighten up your mornings with a new bird related tid-bit delivered straight to your phone everyday. 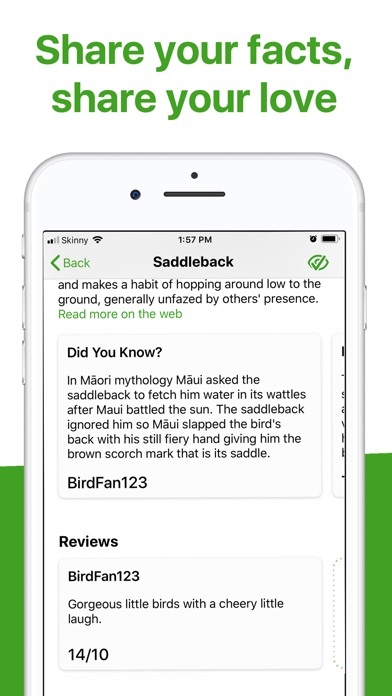 Contribute: Show off your Bird Nerdery by contributing your own facts, tips, pictures and even reviews. Offline: Ever notice our birds tend to hang out far away from wifi hotspots and 4g reception? Thankfully Bird Nerd is 100% offline compatible and will work wherever you roam. * Do be considerate when playing bird calls in the wild. Excessive playback can worry some of our more territorial birds.